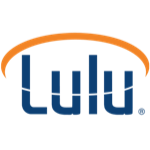 Lulu is a private American based company, which offers publishing, printing, and distribution services. Lulu Company was founded in the year 2002, and has its headquarters located in Raleigh, North Carolina, United States. The products from the company include Books, eBooks, Photo Books, Calendars. The company also extends its service for on demanding printing and eBook publishing. The Lulu optional services are ISBN assignment and distribution of books to retailers. The author publishing or printing through Lulu retains the copyrights to these materials. The company has published about 1.1 million titles by various authors in over 200 countries and territories. There are currently 2 consumer reviews about Lulu available. Share your review. Lulu's "Global Distribution" of print books does not work. Unable to get a reply to my queries about why the book, which was supposed to be available through Amazon.com by July 4, is not available, I am left, like so many other clients, in total frustration. Perhaps Lulu is purposefully withholding distribution to retail outlets in order to make more money off of their sales; if so, it is shameful. i cannot access my lulu account. my email address is 1pigmyhippo@gmail.com. this is the only address where i can reach LULU publishing. please see that this effort is not wasted. thank you. Please take a note that you are about to post a public review about Lulu corporate office on CorporateOffice.com. This review will be public, so please do not post any of your personal information on this website. If you would like to contact the corporate offices of Lulu, please use their contact information such as their phone number, website, and address listed above to contact them. However, sometimes staff from Lulu headquarters do read the reviews on this website.